Author(s) Flynn, Andrea; Warren, Dorian T.; Wong, Felicia J.; Holmberg, Susan R.
Why do black families own less than white families? Why does school segregation persist decades after Brown v. Board of Education? Why is it harder for black adults to vote than for white adults? Will addressing economic inequality solve racial and gender inequality as well? 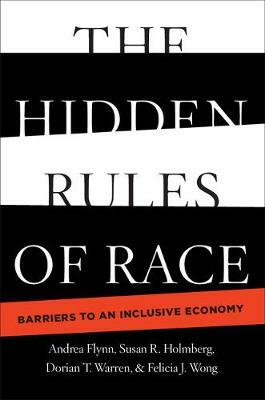 This book answers all of these questions and more by revealing the hidden rules of race that create barriers to inclusion today. While many Americans are familiar with the histories of slavery and Jim Crow, we often don't understand how the rules of those eras undergird today's economy, reproducing the same racial inequities 150 years after the end of slavery and 50 years after the banning of Jim Crow segregation laws. This book shows how the fight for racial equity has been one of progress and retrenchment, a constant push and pull for inclusion over exclusion. By understanding how our economic and racial rules work together, we can write better rules to finally address inequality in America.